The first design in the Spice Girls 2 collection, My Honey, was introduced during the spring mystery knit-along I was hosting for the months of March-April 2012 on my ravelry forum. It was a lot of fun seeing how everyone was working on their clues, and I just love all the beautiful projects that resulted at the end. I am so impressed with everyone's effort! This cardigan aims to bring out the sweetness and simplicity in everyday wear, and features some simple lace, bell sleeves, and an optional decorative bow. “My Honey” is completely seamless; it is worked from the top down and requires very minimal finishing. When choosing a size, please do not rely solely on age categories. Measure your child and choose the appropriate size based on actual chest measurements. About 5 cm/2 inches of positive ease is already incorporated into the pattern. Side Body Length is measured from the underarm and can be easily adjusted to suit your child. Gauge: 22 sts and 28 to 32 rows = 10 cm/4 inches in stockinette stitch with main needles. Take time to save your time and check your gauge! Both numbers are equally important! 80/10/10 Sport from Madelinetosh (80% merino, 10% nylon, 10% cashmere; 250 yards/229 m in 4 oz. /113 g). Purchases are made via paypal. Patterns are sent via email. You will receive a link to a downloadable pdf file. 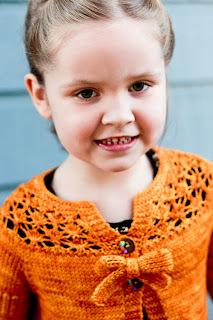 Click here to see more designs in the Spice Girls 2 ebook. 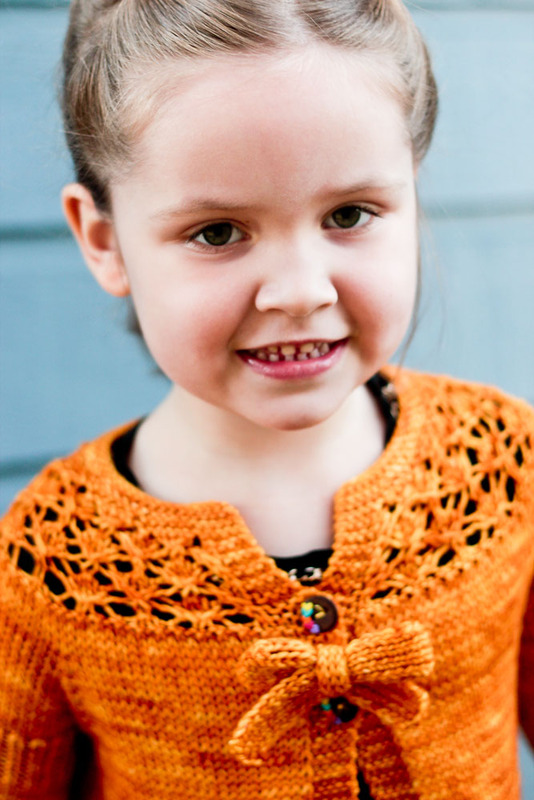 love this cardi and can't wait to see another pattern in your e-book "spice girl 2"! 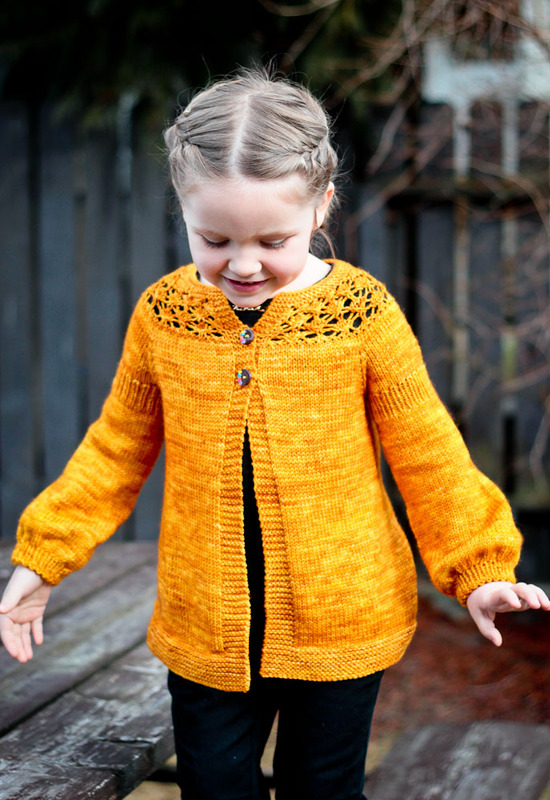 Love this cardigan - same with the color, my granddaughter will just love it - but what color/yarn was used? Please respect my designer rights. I am providing my patterns for personal home use only. You may make garments as gifts or donations to charities and fundraisers. I am not prohibiting selling products made from my patterns, however you do need to obtain my express permission and/or a cottage license. The copyright of all my pattern will always remain with me. 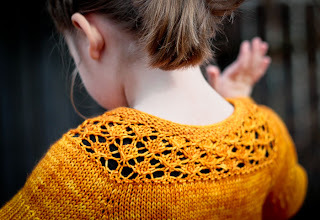 Distributing any of my patterns in any manner is prohibited under the copyright.